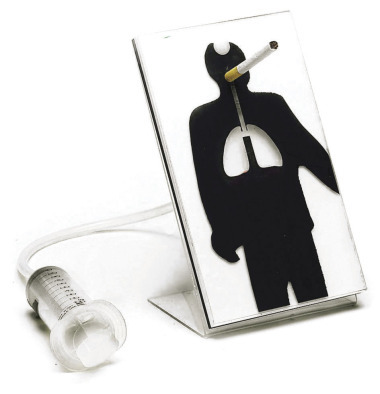 Graphically demonstrate the impact of smoking on the lungs! Simply place a cigarette that you provide in the mouth of the 'Smoking Man' and draw smoke into his 'lungs' using the syringe pump included. The results will amaze you as you watch his lungs start to darken after only a few short puffs! Includes detailed teacher and student guides that provide extensive background information on the dangers of smoking as well as scenarios to test various cigarette brands for tar content under various conditions.